> Do you have patellar tendonitis? 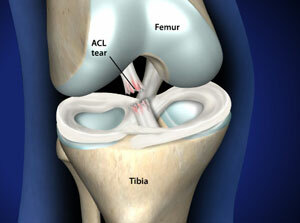 > Have you had surgery to your knee, such as a total knee replacement or an anterior cruciate ligament reconstruction? X-rays. 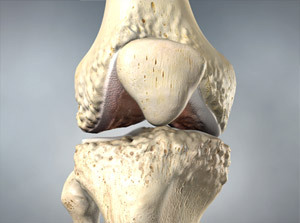 The kneecap moves out of place when the patellar tendon tears. This is often very obvious on a “sideways” X-ray view of the knee. Complete tears can often be identified with these X-rays alone. If you have been diagnosed with a patellar tendon tear, you should go to an orthopaedic surgeon for treatment. If your tendon has shortened too much, it will be hard to re-attach it to your kneecap. Your surgeon may need to add tissue to lengthen the tendon. This sometimes involves using donated tissue (allograft). Complications. The most common complications of patellar tendon repair include weakness and loss of motion. 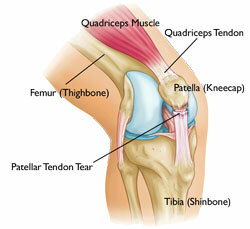 Re-tears sometimes occur, and the repaired tendon can detach from the kneecap. In addition, the position of your kneecap may be different after surgery. Most likely, your repair will be protected with a knee immobilizer or a long leg cast. You may be allowed to put your weight on your leg with the use of a brace and crutches (or a walker). To start, your surgeon may recommend “toe touch” weight bearing. This is when you lightly touch your toe to the floor, putting down just the weight of your leg. By 2 to 4 weeks, your leg can usually bear about 50% of your body weight. After 4 to 6 weeks, your leg should be able to handle your full body weight. Most people are able to return to their previous occupations. Many people report stiffness in the affected leg. Most regain nearly equal motion compared to the uninjured leg. If you are an athlete, your surgeon will most likely want to test your leg strength before giving a go-ahead to return to sports. Your surgeon will compare your leg strength using some functional knee testing (like hopping). The goal is that your strength be at least 85-90% of your uninjured side. In addition to leg strength, your surgeon will assess your leg’s endurance, your balance, and if you are having any swelling.